These words were famously spoken by Nelson Mandela. By fighting for his belief in justice for all he became a global icon for freedom and peace. He would have turned 100 this week. 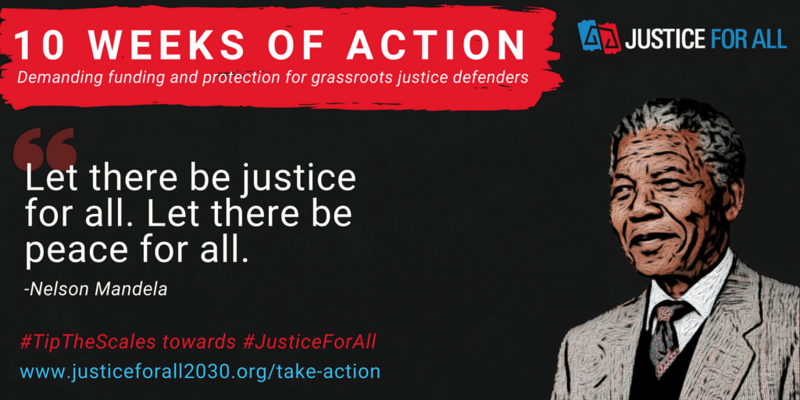 To celebrate Nelson Mandela’s Centenary, we are carrying on his legacy by kicking off 10 Weeks of Action for Justice For All to ensure that world leaders step up their commitments to fund and protect access to justice, and specifically, grassroots approaches. Also this week, Finance Ministers and Central Bankers from G20 countries are convening in Buenos Aires, under the theme of “unleashing peoples’ potential”. Earlier this year, the G20 said it would include access to justice on its agenda but to date they have not fulfilled this promise, focusing instead on Bitcoin and trade wars. 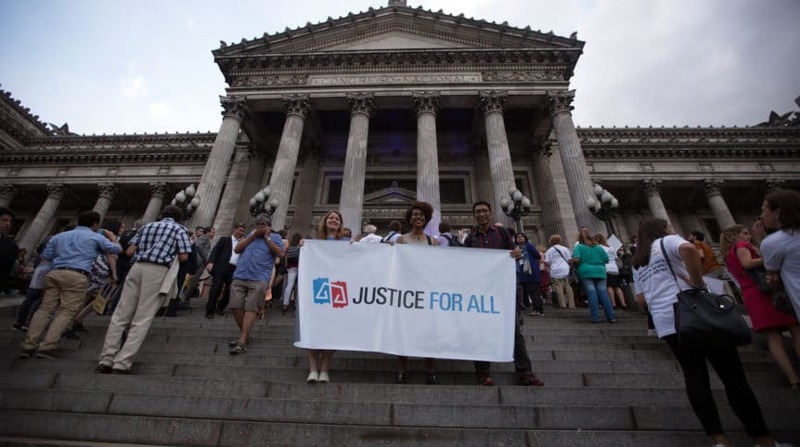 Funding the activists and organizations who help people access justice is not just morally right, it is economically smart. 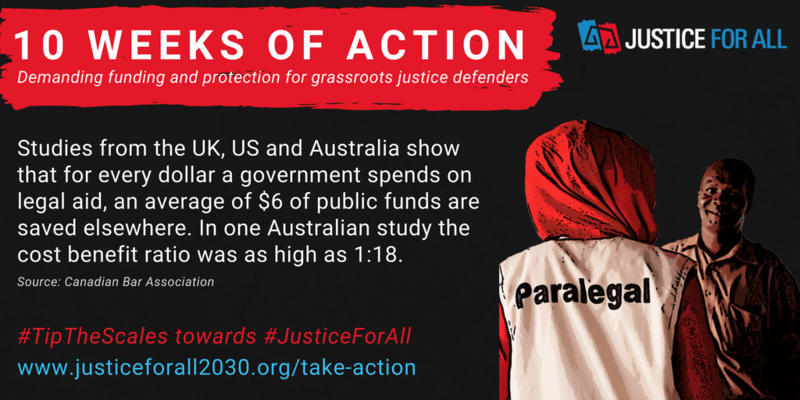 Studies from the UK, US, and Australia show that for every dollar a government spends on legal aid, an average of $6 of public funds are saved elsewhere. 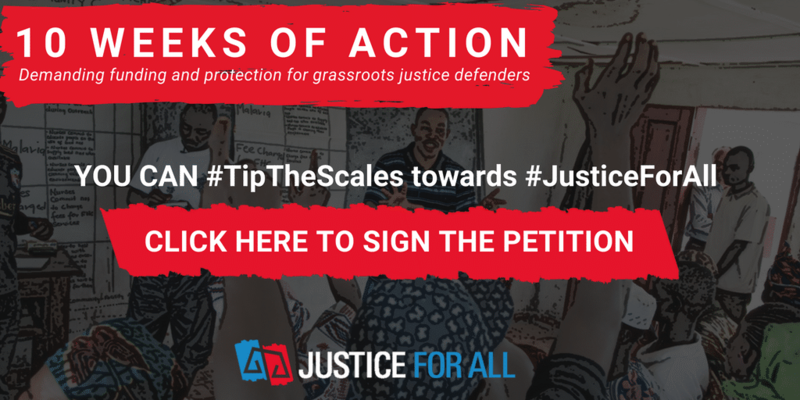 Continue Mandela’s legacy by joining us in calling on governments to invest in grassroots justice defenders. Sustainable economic growth and access to justice have a symbiotic relationship: without one, the other cannot exist, it cannot flourish. 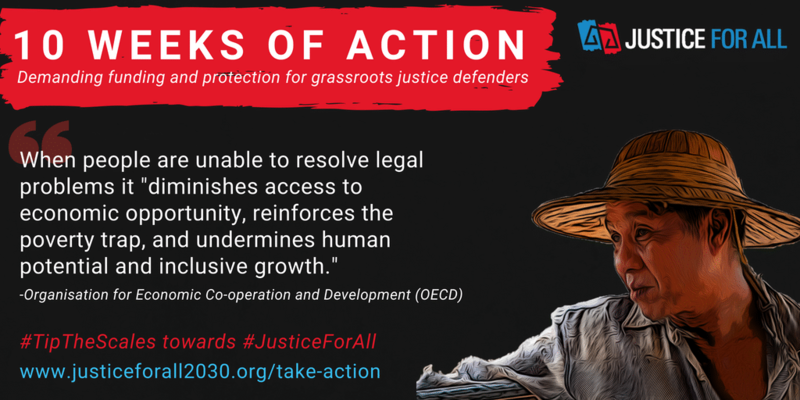 Investing in grassroots approaches to access to justice, such as legal empowerment, help improve society as it creates a conducive environment for economic growth, increases social capital, improve business practices by upholding and promoting the rule of law, and reduce violence in communities. Collectively, these are critical steps towards achieving sustainable development and the ambitions laid out in the SDGs. Alternatively, sustainable growth is a critical component to access to justice. Unfortunately, grassroots justice approaches remain chronically underfunded. 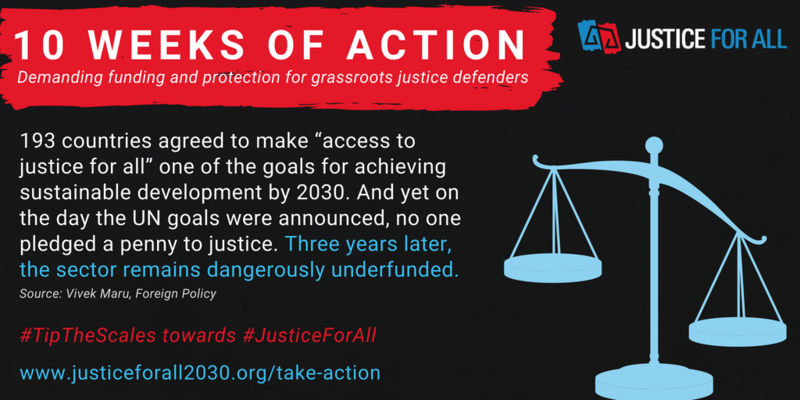 All governments made a commitment to achieve “justice for all” by 2030 in the SDGs. The day the SDGs were announced, many sectors around the world saw new bold funding commitments. Access to justice, and especially grassroots approaches and legal empowerment, did not see a penny. 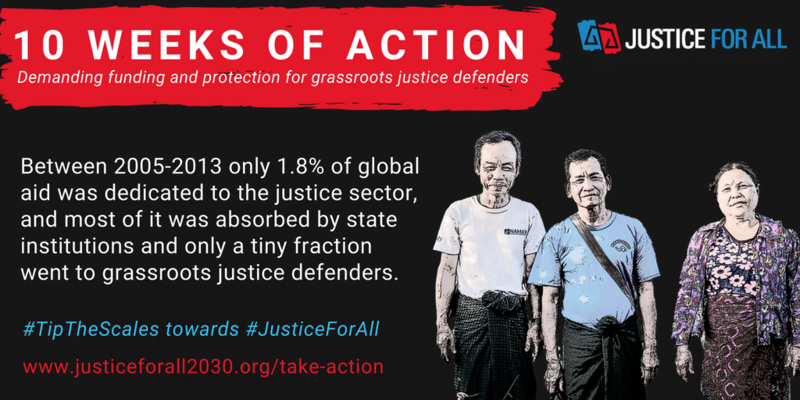 Between 20005 -2013 only 1.8% of global aid was dedicated to the justice sector, and most of it was absorbed by state institutions and only a tiny fraction went to grassroots justice defenders. 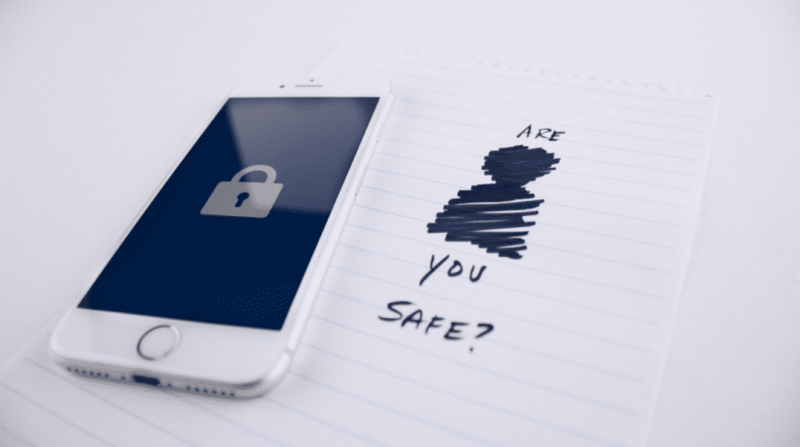 67% of grassroots justice defenders in the Global Legal Empowerment Network members said they may not be able to operate next year due to funding challenges. Studies from the UK, US, and Australia show that for every $1 a government spends on legal aid, an average of $6 of public funds are saved elsewhere. In one Australian study, the benefit ratio was as high as 18:1. In the Philippines, the Asia Development Bank studied the impact of training community members as paralegals to support agrarian reform. 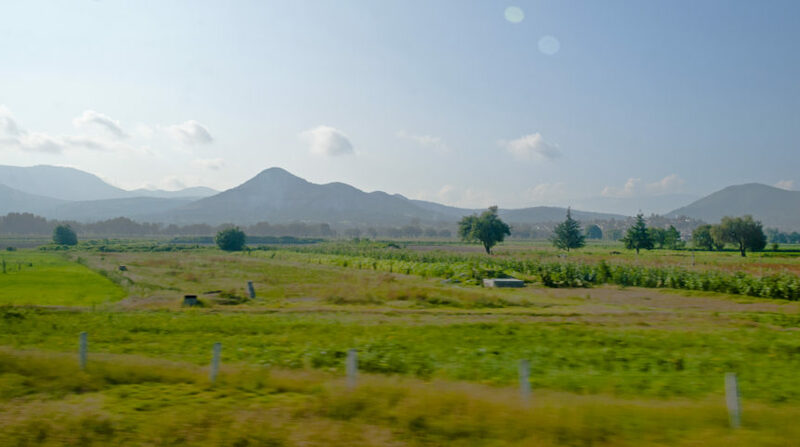 Farmers in communities with paralegals saw higher levels of productivity, higher farm incomes, and more investment in their farms. Surveys in Poland, Romania, Russia, Slovakia, and Ukraine reveal that business people who believe that their property rights are secure reinvest as much as 40 percent more of their income than those who do not. 1,000 members of the Global Legal Empowerment Network weighed in on an important discussion topic on whether or not the private sector has a role in paying for grassroots justice and legal empowerment. The verdict? Yes, but through contributions to independent funding mechanisms. See more here. 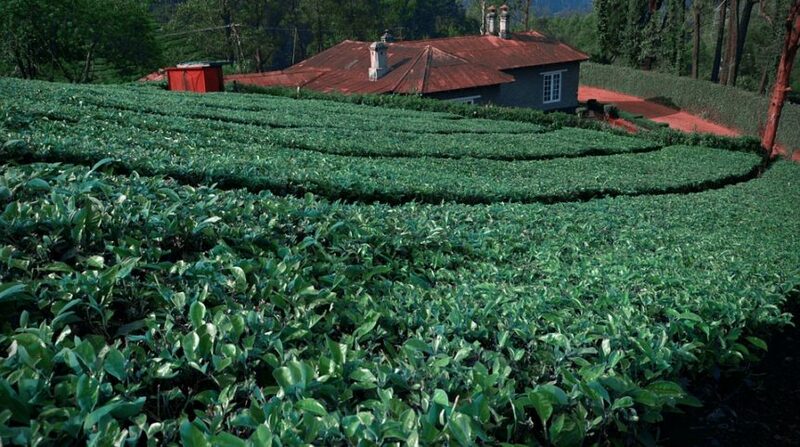 The Guerrilla Foundation helps activists and grassroots movements who are tackling major issues and aiming to bring about systems change. 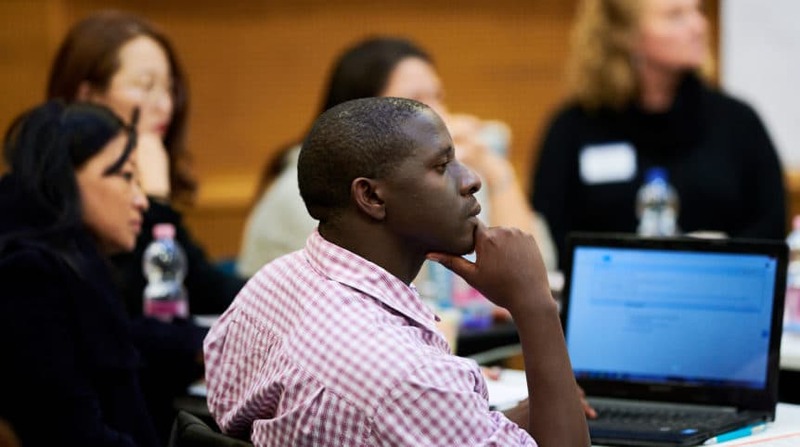 By providing funds for participatory models of grantmaking such as FundAction, as well as grassroots movements and activists the Guerrilla Foundation aims to shift philanthropy towards a more imaginative, risk-taking, bottom-up paradigm that more effectively responds to emergent societal needs. The Guerilla Foundation was recently featured as a #WalkTogether Spark of Hope – read more about their story here.